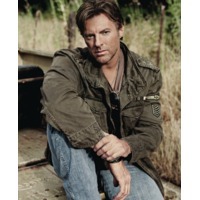 Darryl Wade Worley (born October 31, 1964 in Memphis, Tennessee) is an American country music artist. Signed to DreamWorks Records Nashville in 2000, Worley released four albums for the label: Hard Rain Don't Last (2000), I Miss My Friend (2002), Have You Forgotten? (2003), and Darryl Worley in 2004. After the label closed in 2005, he moved to 903 Music, an independent label owned by Neal McCoy, releasing Here and Now in 2006, shortly before that label's closure. His most recent studio release is 2009's Sounds Like Life via Stroudavarious Records, owned by James Stroud.